Cake originally made for the Princess in May 2007. A few months after my oldest daughter's first birthday (in May) we moved to a new state. Well, not really a new state, it was the state we grew up in. Did I mention I was pregnant with our second at the time? Well, after having the second baby in January, my husband decided that I could use a night to myself so he suggested I find something to do. After the rubber duck cake, I decided that maybe I needed a little help with my cakes, so I choose the Wilton classes at our local Michael's. I had fun, and learned a few things. Mostly, I learned that I no longer should use canned icing to decorate a cake. Not long after starting the classes, it was time to do the cake for my oldest daughter's second birthday. She picked her own theme of Elmo. 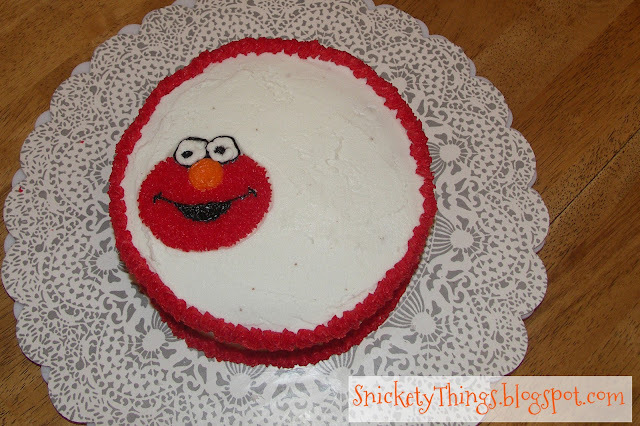 All I could think was that Wilton had an Elmo pan so I was in luck! The only problem, I did not like how the piped stars looked on those kinds of cakes. Again, I started thinking big. Or at least big for a woman who was about to have a two year old along with a four month old. Let's face it. I was still trying to use every bit of spare time I could find just to catch up on my sleep. I did some searching and found Wilton had a grass tip (#233). Icing grass looks a lot like monster fur, at least to me. I opted to buy a tube of black icing since I didn't need much, and I discovered that the tube of black was a little less likely to bleed onto my white. What do you think about my second cake? 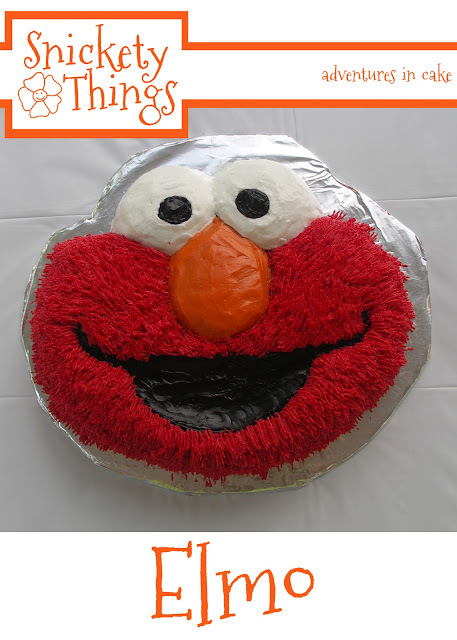 I did not want to put a candle in the middle of Elmo's face, so I made another small six inch cake for the candles. It was also my first attempt at doing a picture on a cake by myself. I used the smallest star tip Wilton made to fill it in, but made them a little long to still give a furry appearance. Here they are at the party. 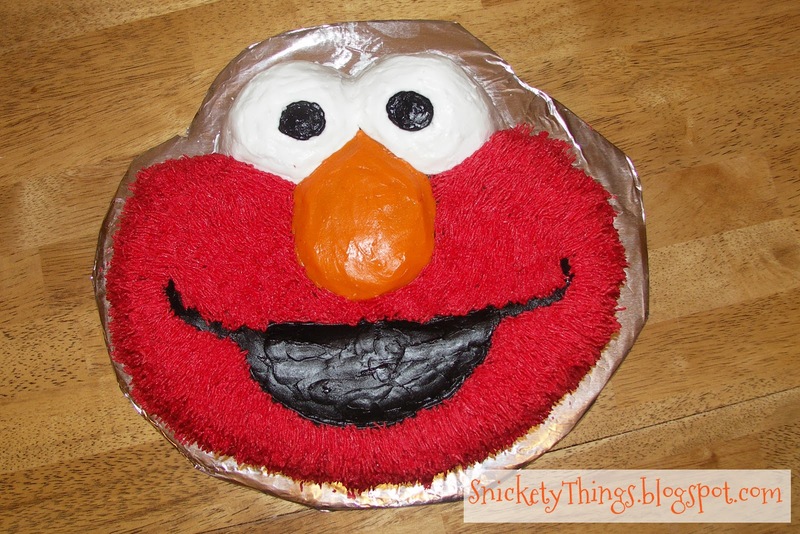 I used crayon candles along with a number two since those are one of Elmo's favorite things.